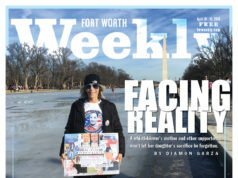 A white-haired little man with piercing blue eyes, wearing an Army cap and carrying a briefcase, came to the Fort Worth Weekly office a few weeks ago, entering what seemed to him a door of last resort. He hoped we’d help him expose something he considered an injustice, and he wasted no time launching into his story, speaking quickly, almost desperately, like a man who’d told it many times before to people who weren’t interested, as indeed he had. His problem: The Texas Medical Board, which regulates the practice of medicine in Texas, had suspended the license of his doctor, William D. Littlejohn, a specialist in treating chronic pain. Noblett and others believed Littlejohn had a strong defense against the single complaint brought against him, but for two years the agency has left the physician in limbo, his license suspended, but with no permanent ruling on the case. That left 300 patients in the Fort Worth area unable to get prescription medicines because there aren’t many doctors willing to specialize in – or write painkiller prescriptions for – a field of medicine that is drawing the wrath of regulators. The popular perception, particularly among board examiners and federal regulators, is that chronic pain patients are “legal drug addicts” and their physicians are “pill pushers,” Noblett said. Opioids are addictive, and in the past decade, painkillers such as OxyContin have become more abused and used recreationally, a hot party drug for kids who have increasingly become overdose victims. Cutting up time-release pills for quicker rushes or mixing them with alcohol can be lethal. But for Noblett and other chronic pain patients, oxycodone is a miracle drug when used correctly. Now the federal government is cracking down, and the state medical board is following that lead in Texas. The medical board, which got in deep trouble a few years ago for its lax treatment of corrupt and incompetent doctors, has changed its tune – so much so that one national doctor’s group believes it has gone overboard in the other direction, suspending and removing doctors’ licenses without cause. Caught in the crossfire are the patients. Littlejohn fought his suspension but eventually ran out of money. Noblett had called and written medical board members and the person who appoints them, Gov. Rick Perry. He contacted legislators and the state attorney general. 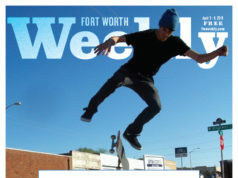 He’d taken his story to the Fort Worth Star-Telegram and had high hopes of a major story being published, but that effort eventually came to naught. He rallied a group of 64 patients to threaten a class-action lawsuit. And, after two years, Noblett had little to show. The medical board was unresponsive. Nobody seemed to listen or even care, he said. The patients, even collectively, couldn’t come up with money for a lawyer. Many of them live on small or fixed incomes, unable to work or leave their houses because of chronic pain. Littlejohn figured he was being punished for treating patients the best way he knew how, even when it included a controversial but legal medicine. Four of his patients have killed themselves since his license was suspended, Littlejohn said. Noblett, the military veteran, chose to fight rather than give in to his misery. But neither did he live to see the end of the story. Noblett couldn’t believe he and other pain patients could be stripped of their doctor and lose their access to medicine with so little due process. The medical board’s decision to investigate Littlejohn came after a single complaint. A woman who had been Littlejohn’s patient was involved in a divorce and had hired a local attorney for representation. The woman and her attorney were at Littlejohn’s office one day and, according to witnesses, the lawyer manhandled her, causing her to fall and injure herself. Littlejohn reported the incident to police and the Tarrant County district attorney’s office, but no charges were filed. Not long afterward, the woman and her attorney filed a complaint against Littlejohn with the medical board, accusing the doctor of overprescribing addictive medicine and coercing the woman out of much of her divorce settlement money. Board members spoke with the doctor in a brief closed-door hearing in November 2006 and didn’t like what they saw, describing him in an “order for temporary suspension” as distracted, disoriented, and exhausted. They also questioned what appeared to be a business relationship with the patient and whether Littlejohn had ended up with much of her money. There is no record of the conversation between Littlejohn and the medical board, since investigations and hearings are private, and board members will not discuss them. But the board’s order of suspension is public record and sheds light on the agency’s reasons for the suspension. The news media have spotlighted the ruckus between Texas doctors and the Texas Medical Board in recent years, portraying a pendulum swinging from one extreme to another. About 10 years ago, investigative reports showed the board had been slow and weak in punishing bad doctors. Legislators responded by providing more money and regulatory power, and the number of investigations opened and disciplinary actions taken by the board has almost tripled since 2001. Many doctors, not surprisingly, don’t see that as necessarily good news. In December, the Association of American Physicians and Surgeons filed a federal lawsuit against the agency. The conservative, politically active association, formed in 1943, accused the state agency of violating due process in its zeal to discipline doctors. “The situation has reached the crisis point for patients and doctors,” the association’s executive director, Jane M. Orient, said. The medical board denies any wrongdoing, and the federal case is making its slow crawl toward a settlement or court date. In Littlejohn’s case, he was eager to meet with the board and explain the complicated situation. 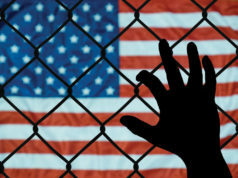 Before the hearing, the woman had recanted her complaint in writing and said that she had made up lies against her doctor under the direction of her attorney, who was promising to use his influence to ensure she ended up with custody of her children. In a letter addressed to the medical board, the woman characterized Littlejohn as having “the utmost integrity and professional ethics,” while using words such as “underhanded,” “despicable” and “a disgrace” to describe her attorney. The hearing didn’t go well. Littlejohn is something of a character – tall, with seasoned features and a gray beard, verbose and opinionated but usually speaking in a rambling mumble. He said the board was condescending and disrespectful from the get-go, treating him like he was guilty before he’d even been given a chance to tell his side of the story, and asking him right away when he planned to retire. He decided he was facing a “kangaroo court” and “clammed up rather than blow up,” he said. The hearing wasn’t recorded, and medical board officials won’t comment on what happened. But Littlejohn said he was shocked by what he described as brusque treatment by board president Roberta Kalafut. She had “piss-poor credentials,” Littlejohn said, and questioned a Valium prescription he’d written, calling it a very addictive drug. The board suspended his license, but there has been no permanent resolution. The agency says Littlejohn has delayed subsequent hearings. He says the only notice he received for a new hearing was left at his gate and consequently eaten by his dog, but it wouldn’t matter anyway – he refuses to go before a board that carries itself like a “star chamber.” He said he might seek justice in a federal courtroom. Littlejohn wrote to board members accusing them of forcing him to abandon his patients and demanding an emergency reinstatement of his license so he could at least oversee patients during the process of going off their medications. Withdrawal from opioids can be dangerous. The scarcity of pain physicians and the difficulty pain patients face in getting prescriptions is a disaster waiting to happen, he wrote. Some patients had already said “they are on the verge of committing suicide if they do not soon find relief from their constant pain and suffering,” he wrote in February 2007. The medical board didn’t respond. The news media have paid less attention to the effects of the medical board’s new direction on patients such as Littlejohn’s, who have supported their physician against the board. In their case, it’s been difficult or impossible to find other physicians willing to stick their necks out. 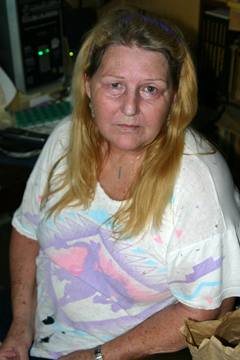 Price, 59, suffers from back injuries sustained during a car wreck about 25 years ago. After Littlejohn’s license was suspended, Price found a local doctor willing to prescribe weaker medicine, but none that allowed her to live in the manner she desired – agile enough to do housework, putter in the yard, shop, and play with her grandkids. Now she has trouble doing much of anything except sitting around the house and hurting. Noblett went to the Fort Worth Star-Telegram last year with their predicament. For several months, he said, staff writer Bryon Okada worked on the story, even meeting with a dozen patients at a motel room for interviews and pictures. The story was pegged for a high-profile spot – front page on a Sunday – and Noblett’s group was giddy with anticipation. In July, the medical board held a town hall meeting at Texas Christian University. One of the speakers that day was Ben Davis, who’d been one of Littlejohn’s patients for 10 years, a former law enforcement officer who suffered from back pain and was finding it difficult to get the medicine his former doctor had prescribed. Davis talked that day about chronic pain patients and lamented Littlejohn’s treatment by the board. Afterward, however, he told Noblett he doubted if anything they said would make a difference. A few days after the town hall meeting, Davis shot himself fatally. 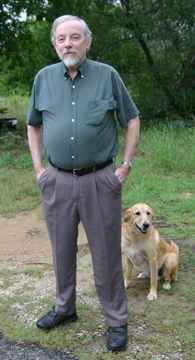 Littlejohn lives in a cluttered house on a small spread of land just west of Fort Worth. A brick entryway reveals that, at one time, the house had been handsome. Now it’s tired and in need of repairs and fresh paint. Littlejohn has never been rich. His patients describe him as an old country doctor willing to make house calls and spend as much time with patients as they want. Before the medical board forced him to close his Fort Worth practice, Littlejohn’s waiting room at his office on Cherry Lane was often crowded because he spent so much time with patients that his schedule was usually backed up. Patients rarely complained. They knew they’d get the same attention when it was their turn. As it turned out, socializing in the waiting room and getting to know one another would make it easier for them to organize into a class-action group later. Littlejohn dropped out of ninth grade when he was a teenager in Oklahoma City in the 1940s. Fleeing an abusive stepfather, he ended up in Fort Worth flophouse, working as a pinsetter at a bowling alley. In 1954, he joined the Air Force, and during that six-year enlistment he took a medical technician class, worked with medics, and decided to become a doctor. After his military service, he earned a medical degree at the University of Texas Southwestern Medical School in 1967, interned for two years at John Peter Smith hospital, and then opened a family practice in Fort Worth in 1969. Over the next 20 years, Littlejohn noticed more and more patients living in constant pain. The doctor felt hogtied in his ability to treat them and in the early 1990s decided to get more credentials. His devotion made him a hero to his patients, and they rallied to his defense after he lost his license. Since the license suspension, Littlejohn finds himself in the same position as his patients, trying to come up with money to get a lawyer and sue the board in a case he expects to win if he lives long enough to see a court date. “I can move a jury,” he said. But the person who stepped up and took the lead role in fighting for both Littlejohn and his patients was the little gnome-like war veteran with the white beard and intense blue eyes who, after two years of frustration, had finally come to the Weekly seeking help. On that first visit, Noblett tried to tell a long, complicated story as briefly and clearly as possible. His back was severely injured in the Vietnam War and, despite several surgeries, he was in pain every day of his life after that. A surgeon had told him 20 years ago that any future back surgeries could be life-threatening. Oxycodone eased his pain. “I have three feet of titanium steel cages and brackets and screws holding my spine together,” he said, pulling up his shirt to reveal long scars crisscrossing his stomach and back. He carried a thick notebook filled with hundreds of documents, timelines, synopses, public documents, copies of state law, and so on. When I asked how he’d hurt his back, he searched for and found a particular document, and pushed it toward me. “Can’t you just tell me?” I asked. He tapped the paper intently, looking at me with pleading eyes. I later learned from his fellow patients that Noblett was shy to the point of phobic about discussing the war. He lowered his eyes, stared at his hands on the table in front of him, and quietly began describing a firefight on July 3, 1969. His seven-man squad, on patrol, came upon enemy soldiers. They clashed in a brutal, close-range combat. Noblett’s hands began trembling as he described how he and several comrades were bunched together during the battle. In recent years, a second injury from that war also came back to trouble him. 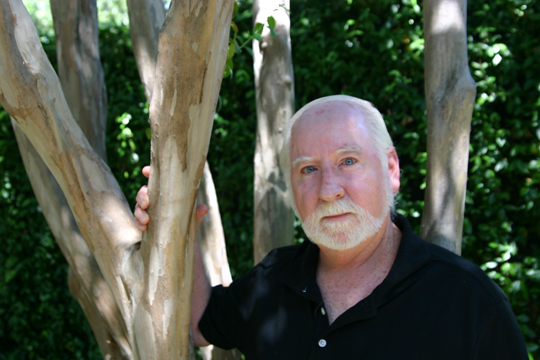 Noblett’s skin had become cancerous in spots – he attributed it to exposure to Agent Orange – forcing surgery that left large scars on his scalp. In July, Noblett went to that town hall meeting at TCU along with his friend Ben Davis. Noblett did something completely out of character that day – he donned his old Army fatigue jacket. Standing before a medical board member and other chronic pain patients, Noblett had questioned the board’s heavy-handed dealings with Littlejohn. He told about fellow patients who had committed suicide because they couldn’t deal with their pain after they could no longer get prescriptions. “I wanted to make a statement,” Noblett said, his voice quivering and his eyes beginning to well up with tears. His words starting coming more slowly, and the pitch of his voice rose. “Because when I think of Mike, who was 19 years old and threw his body on that bomb to save my life, and I think of 19-year-old Duane Kyle from Detroit; shrapnel caught him in his lungs. After I regained consciousness, I stumbled and fell upon him, and I picked him up in my arms, and he died in my arms, drowning in his own blood. And these two young men would never be able to go on through life like I would, and I saw how they gave their lives, and I remembered that. And now here is this board trying to deny Texas physicians [the right] to treat their patients and deny citizens the medical treatment they have a right to. These are things that my friends laid their lives down for. He stopped in mid-sentence, weeping, unable to say more for a few moments. Last Friday, I called Noblett and asked if he would don his uniform and medals one more time for a cover photo. He hesitated. “I don’t really feel comfortable… .” he stuttered. How about if he just pulled out the uniform and held it up for a photo? “I guess that would be OK,” he said. It was 11:30 a.m., and he suggested we meet in 30 minutes at his house and take photos in his backyard. At noon, I knocked on his door. No answer. The sound of a talk-radio program drifted through an open window, where the blinds were drawn. I called through the window. No response. In the backyard I saw his fatigue jacket hanging on the door of a tool shed. Having never served in the military myself, I had little knowledge of what the medals meant. His dachshund, Sparky, was sitting nearby, barking. I went back to the front door and knocked harder. The door moved a bit under my hand. I pushed it open and went in. Noblett was sitting in a chair in front of a computer screen in his living room. His arms hung at his side, head laid back, mouth wide open. Eyes that had already lost some of their trademark blueness were fixed unblinking on the ceiling. Skin that had been disfigured and bleached, perhaps by Agent Orange exposure almost 40 years ago, was paler than usual and tinted yellow. His chest was still – no rise, no fall, no breath. I picked up a phone next to his computer and called 911. The operator told me how to lay Noblett on his back on the floor, prop his head back, and look into his mouth for any obstructions. Then I was told to pump on his chest until the ambulance arrived. But life never returned to the man who had cheated death in Vietnam and become as impassioned a warrior in his waning years as he had ever been during his youthful war service. An ambulance, a fire truck, and a couple of police cars arrived quickly. I told Police Officer Chris Fearneyhough what I knew and led him around to the backyard to show him the jacket. The dachshund was still barking. Fearneyhough approached the tool shed, slowing his pace as he came closer. His reverence was obvious. He too had served in the military. A Bronze Star hung among rows of other medals and decorations, including, of course, a Purple Heart. Two of them indicated that Noblett was a master with the M-16 and M-14, guns that the military no longer uses. Marksmen must hit 40 of 40 range targets with each rifle to earn those recognitions, Fearneyhough said. The medical crew loaded Noblett’s body into an ambulance and drove away, no siren needed. Curious neighbors went back inside. I started to drive off, but remembered the jacket still hanging on the tool shed. I knocked on a neighbor’s door and asked if she would keep the uniform safe, and we walked to the backyard to retrieve it. The little dog became agitated when I picked up the uniform and for the first time tried to escape the yard as I left. The woman had to block the dog while I squeezed through the gate. Police asked me about Noblett’s next of kin, but I didn’t know of any. He was estranged from his family and had said several times during our interviews that his dearest and most respected friend was Littlejohn. I called the old doctor. Three hours later, we met at Noblett’s house. Also there was Ann Price, Noblett’s helper in organizing documents for the patient class-action group. Price sat in the chair where Noblett had died just a few hours earlier and vowed to continue the battle. Later on, Littlejohn showed me boxes of personal possessions in Noblett’s house containing letters, photos, and information about his friend’s life: a scrapbook filled with photos of a scrawny Noblett during his Vietnam stint, wearing fatigues, with a full head of hair, smiling, posing with other young men putting on brave faces while stuck in an unfamiliar jungle. Photos depicting dead Vietnamese lying on the battlefield. Another showing Noblett talking to a group of Vietnamese youngsters wearing big conical hats and smiling broadly at whatever he’s saying. A citation showed Noblett was awarded the Bronze Star for valor in ground operations against hostile forces in 1969. “His loyalty, diligence, and devotion to duty…reflect great credit upon himself and the United States Army,” it read. At 17, he joined the Army. “It will make me a man!” he wrote. He was right. 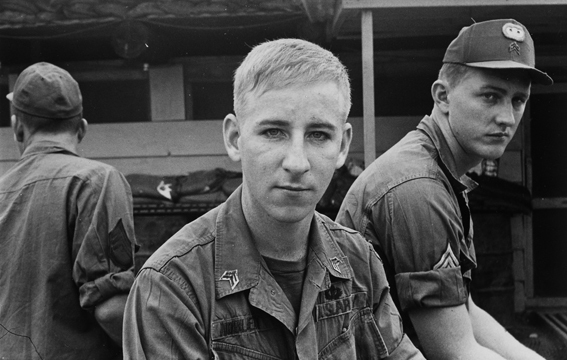 He served in an elite brigade but rarely discussed Vietnam. In a letter written to a friend in May, he explained his tight-lipped nature: His actions were no better than those of thousands of others who’d fought and died. In addition to his back and skin problems, Noblett was also diabetic and rarely could afford his medicine, Littlejohn said. Maybe that’s what killed him. The Tarrant County Medical Examiners Office told Littlejohn they wouldn’t know the cause of death until a toxicology report was available. 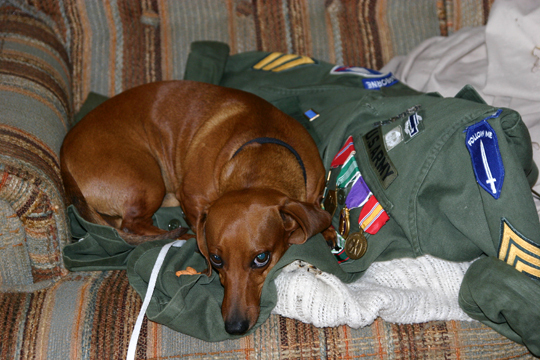 The neighbor had come by and laid the Army jacket on a couch. Sparky was curled up on it, growling at anyone who came near. Twice the dog tried to bite when someone attempted to move him. “He won’t get up off that shirt,” Price said. The doctor picked up a cap that sported a 173rd Airborne Brigade patch – Noblett’s old outfit. He’d recently given it as a present to Noblett, who’d worn the cap when he first visited the Weekly. “I’ll put this on his casket,” Littlejohn said. He held the cap, looked at it, rolled the bill in his hands, then glanced at the uniform on the couch, still guarded by Sparky.